The Arch at Holden Street Theatres, Wed 7 Mar. That Daring Australian Girl is the story of Muriel Matters, an Adelaide born woman who became a leading figure in the UK suffragette movement in the early 20th century. Her story is remarkable in its own right, but even more so that it took place in a time when it was comparatively rare for women to buck the dominant trend and choose a life other than marriage and motherhood. The Arch at Holden St Theatres, a building from the late 19th century, is an ideal setting for this period piece. Joanne Hartstone herself is Adelaide-born and has done a remarkable job of crafting this one person narrative and realising it for a live audience. From the moment she appears she is in total command of her role as Muriel – eloquent, passionate, and full of zeal for life’s challenges. We are whizzed through the various stages of Muriel’s life, with each scene introduced by an old time slide of text – a very neat device to divert our attention while Hartstone makes costume adjustments for the next scene. In a play packed with dense ideas and plenty of action she never once faltered in her delivery, and was the perfect example of the elocutionist that Muriel was at one point of her life. 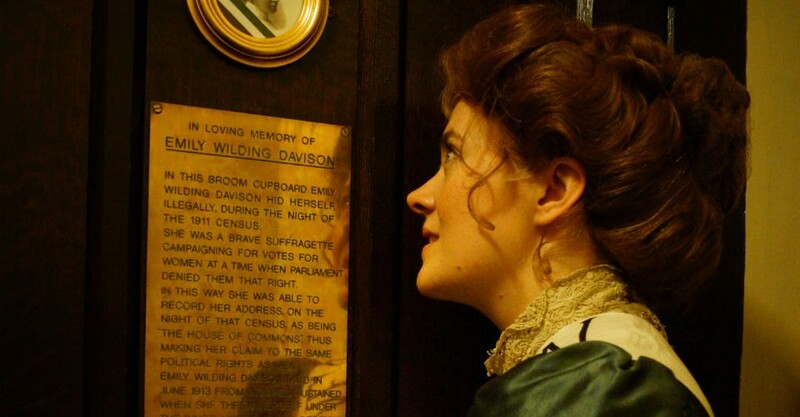 Her enthusiasm for the suffragette cause was infectious, and even if you knew nothing of the story of Muriel Matters you knew that the strength of the character before us on stage would not rest till the job was done. Hartstone is a tour de force in this role. It’s a story that all Australians, particularly South Australians, should be more familiar with, and I can see That Daring Australian Girl having a long life in Australian Theatre. It was a little longer than the advertised 60 minutes, but it still felt a little crammed trying to fit the major life events of a woman who accomplished so much into one act. A stellar performance nevertheless. That Daring Australian Girl continues at The Arch at Holden Street Theatres from 7.45 pm until Sun 18 Mar.